Walking along the beachside of Bay Street at dusk in Byron Bay there’s plenty to catch your eye – a drumming circle with that one dancing lady, backpackers lugging hefty surfboards home from an afternoon play in the bay and sandy kids licking ‘dessert before dinner’ ice-creams because it’s holidays and it’s always time for ice cream. 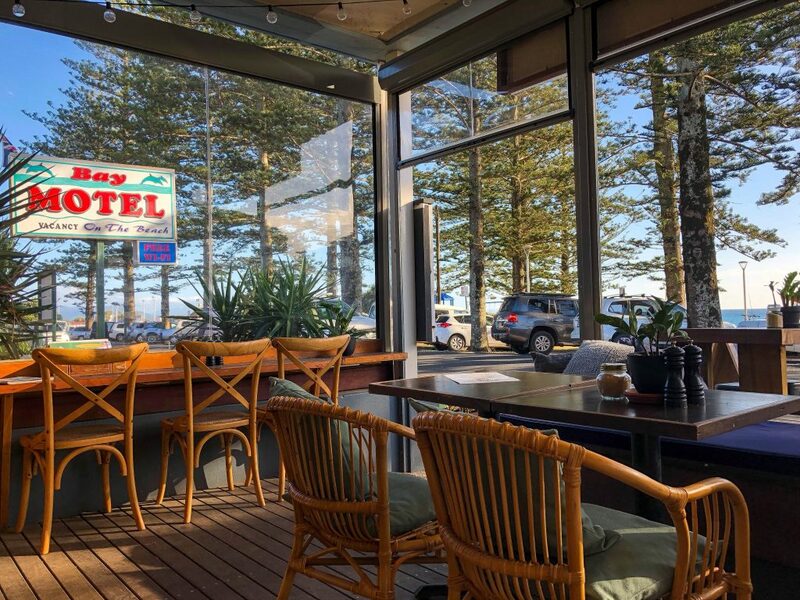 But if you take a peek across the other side of the street you’ll spy Novella, sitting quietly, overlooking the beachside park, glassy sea and sunset beyond. 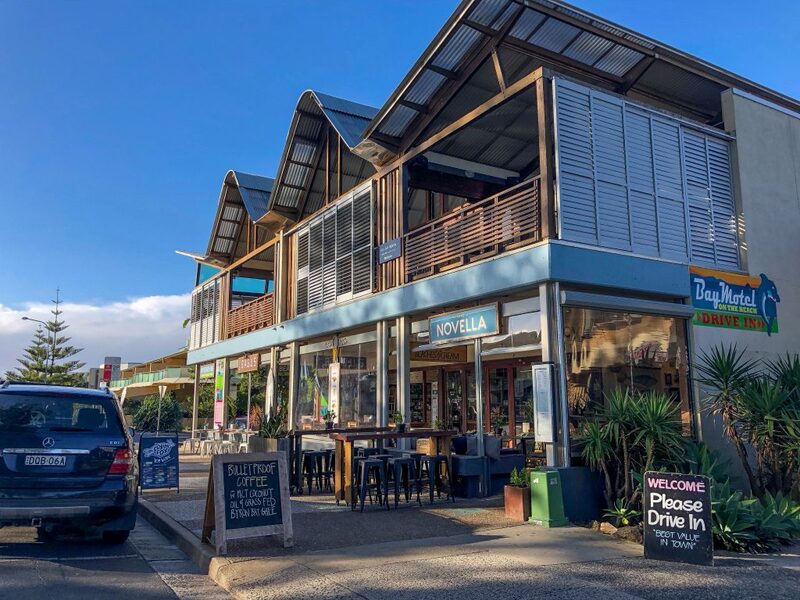 In fact, its one of only a few restaurants in Byron Bay where you can dine with a water view (others being Beach, Fishheads, Rae’s, The Pass Café). 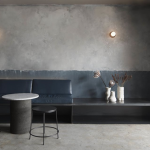 Inside Novella in Byron Bay a theme becomes apparent. 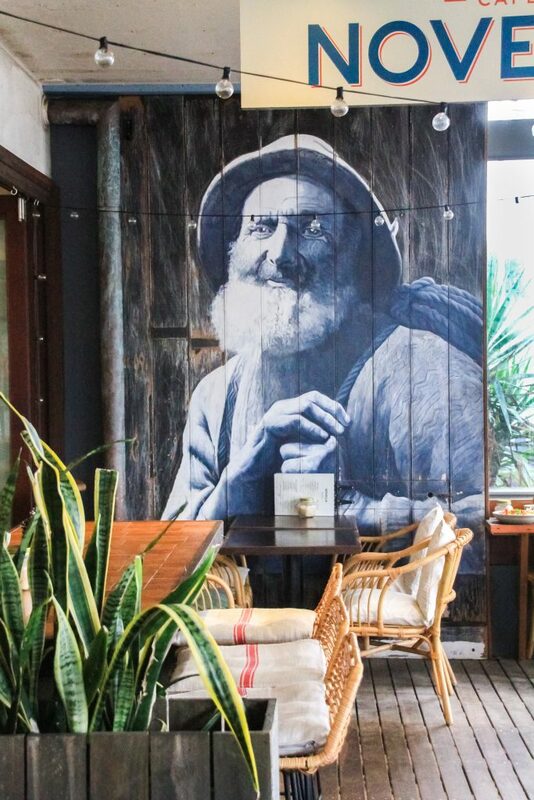 A larger than life mural of a weathered salty sea dog painted by local artist Angus McDonald warmly greets you as do the friendly staff. The walls are adorned with marine odds and ends – hung with care to tell a story. It’s an homage to the short story – or novella – by Hemingway about ‘The Old Man and the Sea’. So, what can you expect on the menu at Novella by the sea? 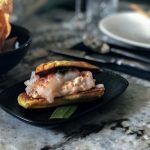 The dinner menu is pretty much all about seafood and includes some interesting native ingredients throughout. 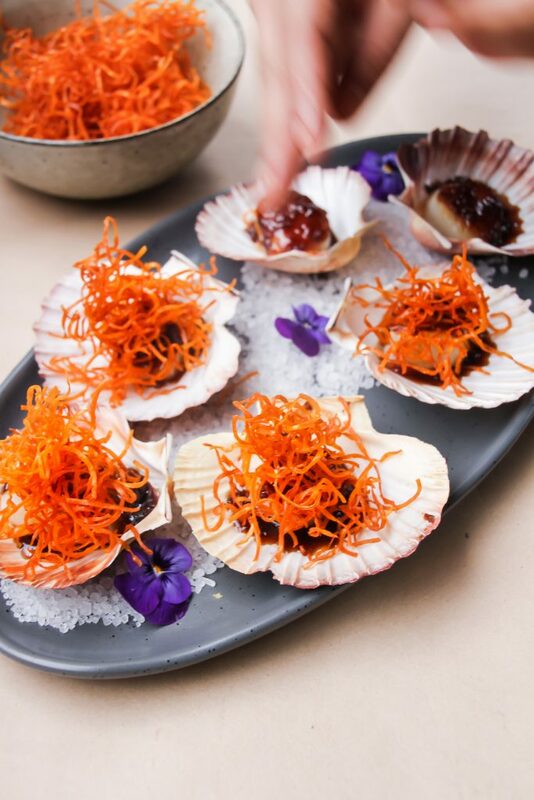 For entrée there are options like Peruvian Ceviche, Grilled Octopus with bush mint, ricotta, cassava chips and bottarga and Seared Scallops, which were beautiful in their shells served with shallot glaze and sweet potato tendrils and cooked really well. A special Ceviche Misto of fish, octopus and prawns was generous in size and served with glazed sweet potato and corn. Mr GFAF and I probably could have shared that one. To follow there are dishes like the red curry of Poached Fish, which was albacore tuna with roast pumpkin, bok choy, lychees, cashews and beach succulents. The dish was quite sweet but warming on a Winter’s evening. One diner who ordered her meal takeaway insisted on showing us her package of Whole Crispy Snapper with ginger and chili sweet sauce glaze which definitely looked worth trying next time. 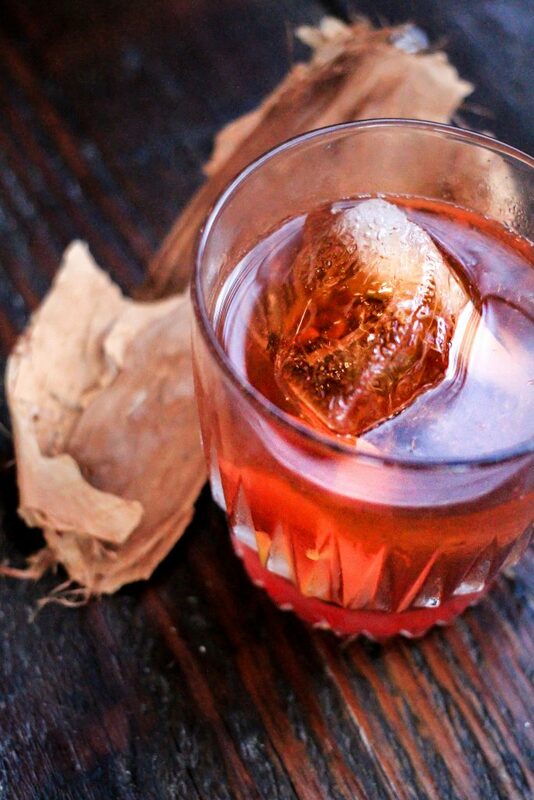 The drinks menu is a good size and includes all wines by the glass or bottle, which I love, along with local and imported beers and some delicious cocktails like the Native Negroni that is smoked with paperbark. Dinner at Novella is currently being served Thursday to Sunday nights. 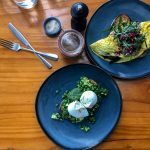 By day Novella in Byron Bay serves an all-day menu, seven days a week. 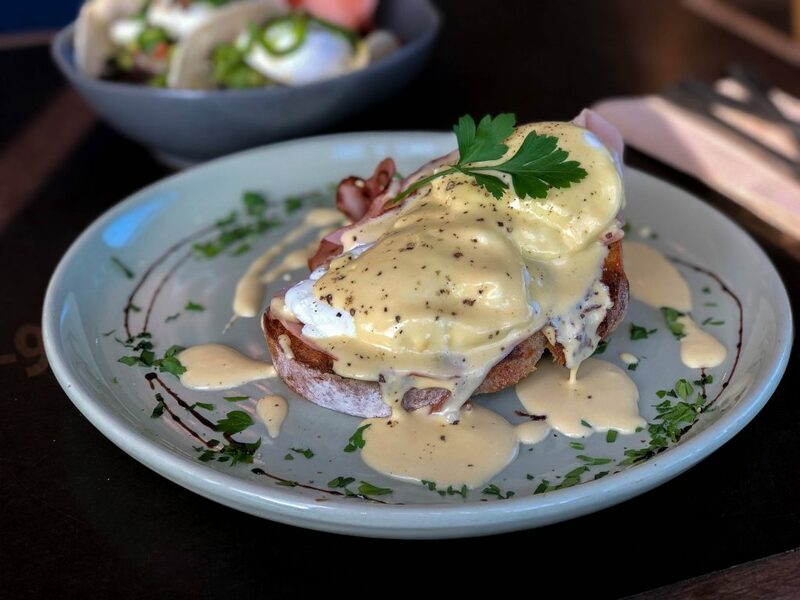 Breakfast style dishes include The Novella BLT, The Kipfler Mash Up and ‘Eggs Benny (Old Skool)’, which you can choose served with bacon, ham or spinach or a combination. I like them with ham. There are lighter toast, pastry and muffin options as well. 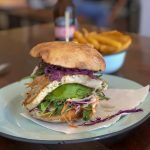 For something more substantial the menu includes dishes like the Vegetable Haloumi Salad, the Oh Portobello mushroom burger or The Wagyu burger. 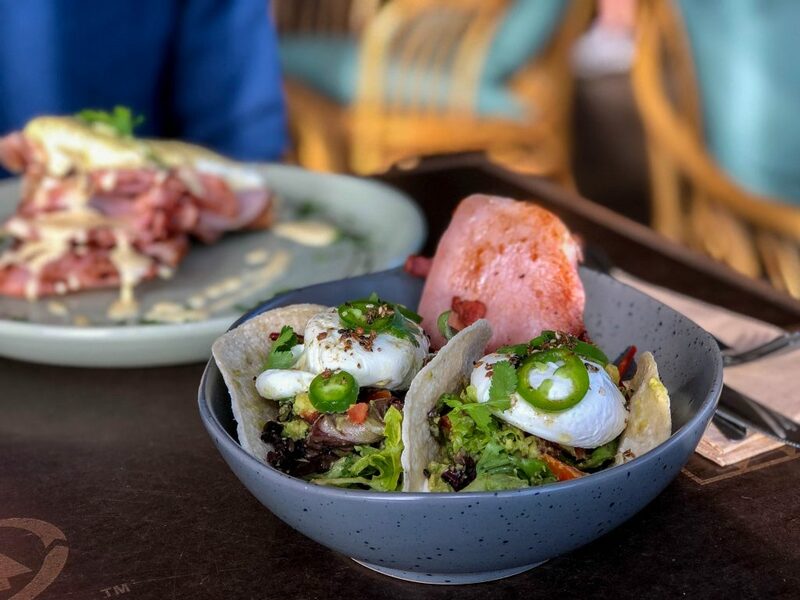 We tried a breakfast taco special with poached eggs, salsa, jalapeños that was fresh and zesty. Special diets are well catered for across the menu. For drinks there is a coffee menu plus milkshakes, smoothies and fresh juices to enjoy. 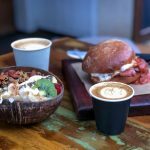 Next time you are wandering around Main Beach, take a walk on the other side of Bay Street and peek inside Novella for some by the sea vibes with a Byron Bay flavour.